Once on a long ferry ride from the small island where we lived in the middle of the Caribbean Sea, I stood on the deck and prayed that Jesus would let me experience a bit of the suffering of His Passion. See, it was holy week, but Easter was coming early for us, because we were journeying from the mission field to comfort of home. A few minutes later, a woman nearby summoned a large wad of mucus from her throat and attempted to spit it into the sea. Instead of its intended destination, the wind carried it back upward where it landed splat in my eye. Being spit upon is an aspect of the Passion I had little considered, but now knew to be humiliating and unpleasant in the worst of ways. I had a choice in that moment: to respond in anger or to be gracious and compassionate to that woman. Certainly, I would rather not be spat upon again, but in offering her forgiveness in place of the ire she was surely expecting, I had an opportunity to give her my clean cheek, to turn away from the muck that had landed on me, and offer what was still good and pure and holy in me. What she chose to do with that clean cheek was her responsibility. Mine was only to offer it. I do not think Jesus intends for us to long to be slapped around constantly when He exhorts us to “go the extra mile” for others who demand it less than graciously. 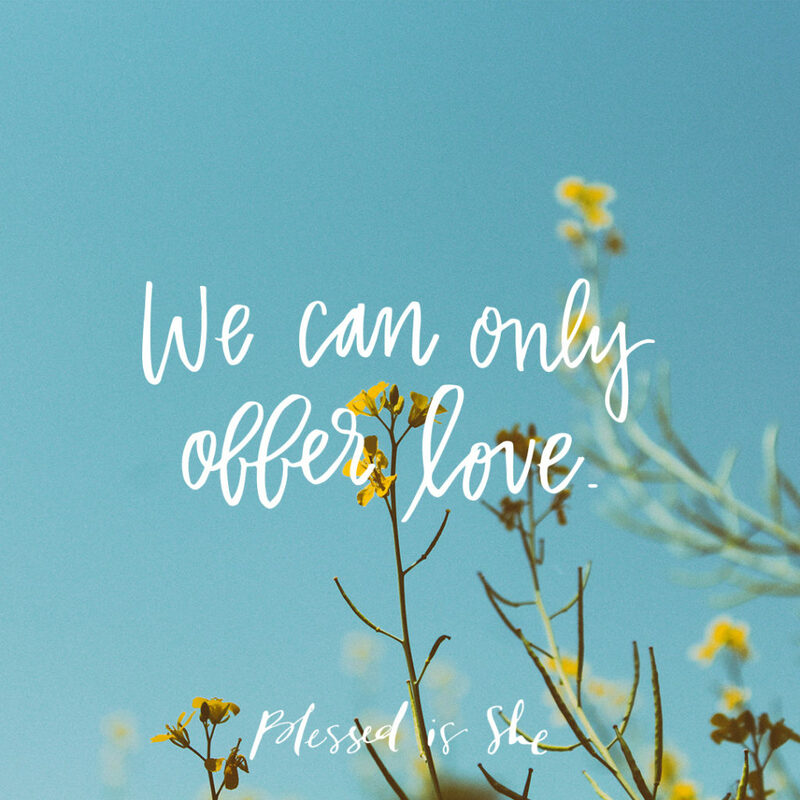 I think instead He is inviting us into the subversive current of grace, where in being like Christ in this life, we will get a bit of everything thrown at us—praise, persecution, love, hatred, and maybe even some spittle or a slap in the face. The challenge of discipleship is to receive all things in the love of Christ and return His love in all circumstances. Sometimes it’s the clean cheek, and sometimes it’s the gracious acceptance of a compliment rather than self-deprecation. We cannot control whether the cheek gets slapped again or caressed or the praise is exaggerated or withdrawn. Where in your life do you need to turn the other cheek? Wow Colleen! Thank you. What a beautiful way to explain the “other cheek”. Sometimes hard to offer it but your eloquent explanation makes it easier to practice knowing God is with us as we yield to it. Beautiful! Be blessed as you have blessed me and so many others.